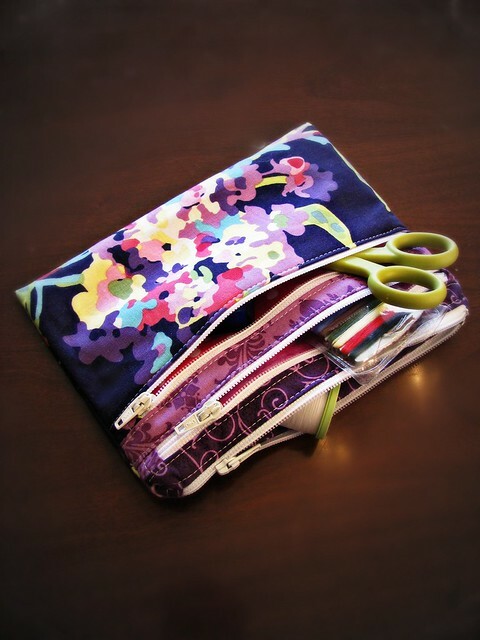 If you’re looking for a small organizer pouch, the Triple Zip Pouch is a great one! I started with the tutorial found here on A Quilter’s Table, then switched to the alternate ending tutorial found on Marci Girl Designs. Marci continues the tutorial with loads of step by step photos, which is very helpful. 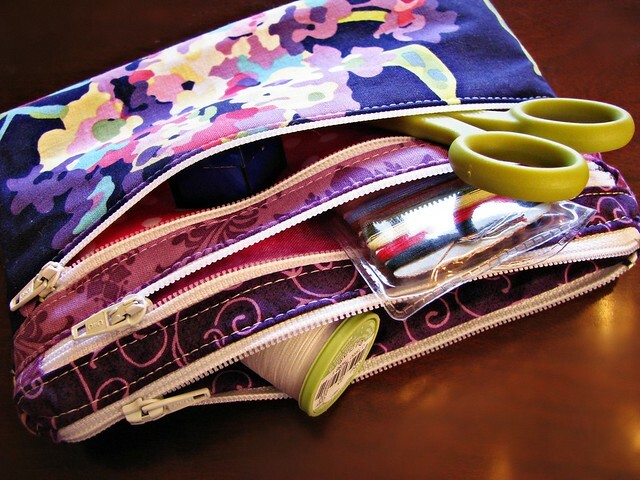 With the clear instructions from both tutorials, this would even be a great “first zipper project” and is a great use of scraps. The resulting pouch is a wonderful little organizer. If you’d like to see more, scroll through the Flickr photo pool for The Quilting Table for loads of little zipper pouches. Add your own photos to the group if you make one, it’s always fun to see more! Your pouch is SO darling! So glad you tried it!